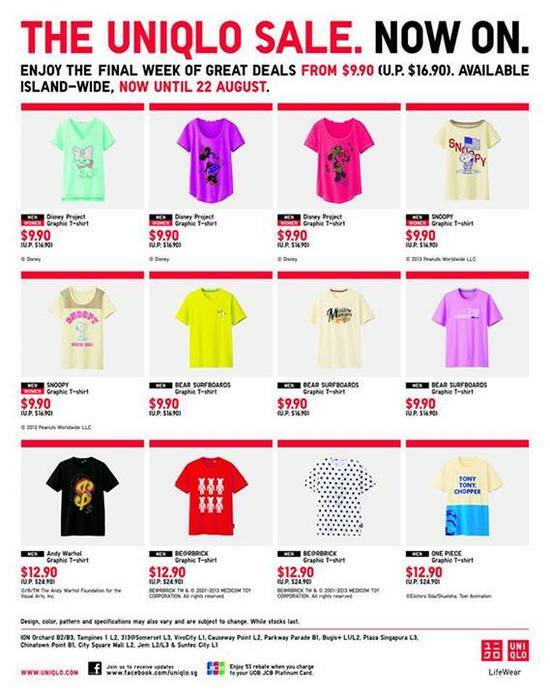 Don’t miss the final week of the UNIQLO sale, with great deals on our wide range of UT collection and more, from $9.90 (U.P. $16.90). Available island-wide, tomorrow until 22 August. See you at UNIQLO soon!